Get in touch with us for obtaining superior quality and efficient Heat Exchanger Gaskets. 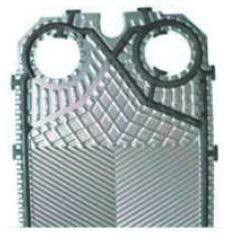 We are reliable Manufacturer, Exporter and Supplier of Heat Exchanger Gaskets in India. Reliable performance, rigid construction and longevity make our gaskets uasable in various industrial applications. We have ability to meet the urgent and bulk requirements. Rely on us and place orders now! Description : We manufacture PHE Gaskets, Heat Exchanger Gaskets for various OEM's. Our range includes Alfa Laval, IDMC, Praj, SWEP, GEA Ecoflex etc. among others. We have many gaskets in-stock for various models. We even undertake contracts for replacement of Old Heat Exchanger gaskets. One of our clients faced a problem of their OE supplier of Heat Exchanger wrapping up its operations. The client had more than nine heat exchangers all due for replacement of their gaskets. Harkesh was successfully able to develop all the nine heat exchanger gaskets within a span of two months. This resulted in saving our client thousands of dollars. The largest gasket was of the size 345mm x 1594mm. Our product range includes Rubber gasket for any type and make for plate heat exchanger can be developed & manufactured by us within a specificperiod. Our plate heat exchanger gaskets manufacturing range varies from 200mm to 3000mm length i.e. smallest to biggest.